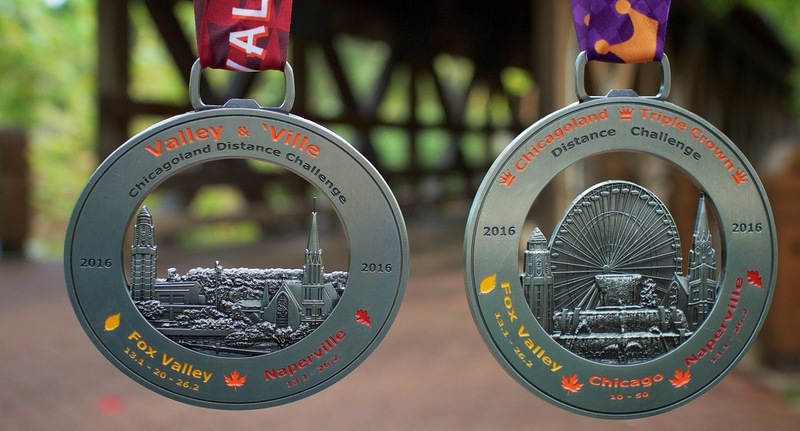 Run any distance at the Fox Valley Marathon Races on September 22 AND the Naperville Half Marathon on October 20 to complete the Valley & ‘Ville two-race challenge to earn the Valley &’Ville medal. Learn more about the Fox Valley Marathon! 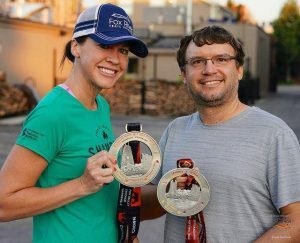 Complete the Valley & ‘Ville requirements, plus either the 7/21 10K, or any one race 10 miles or longer in the City of Chicago beginning 3/16 through 10/13. NEW for 2019! 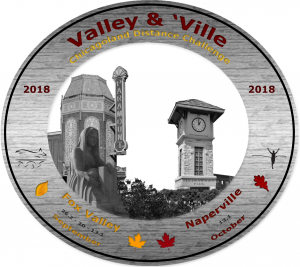 The Healthy Driven Naperville 5K will qualify for your Chicagoland Triple Crown race and Legacy medal IF you are listed online as an official finisher of a 26.2 mile race in the city of Chicago the weekend of 10/13 and 10/14. How BIG is the BLING? These are past Chicagoland Triple Crown and Valley & ‘Ville medals. The 2019 designs are COMING SOON! as a free option within your Naperville registration. Step 2: Register for the Valley and Ville two-Race Challenge (No fee required) as a part of your Naperville Half Marathon registration. Step 3: Confirm your Valley & ‘Ville registration within your Naperville Half Marathon registration confirmation. Step 1: Register for each race individually- Naperville Half Marathon, Fox Valley Marathon Races, plus either the 7/21 10K, or any one race 10 miles or longer in the City of Chicago beginning 3/16 through 10/13. 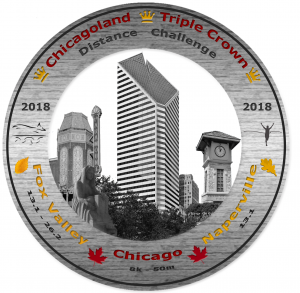 Step 3: Confirm your Chicagoland Triple Crown registration within your Naperville Half Marathon registration confirmation. Register for the Chicagoland Distance Challenge ™ during your Naperville registration (no fee required). Your First Name, Last Name, and Date of Birth must be an exact match in all race registrations to qualify. Is there a cost to register for the Distance Challenge? No, all costs for the Chicagoland Distance Challenge will be covered by the Naperville Half Marathon Races. This is our gift to you in recognition of your achievement! Just ONE of the many reasons that runners come back to Naperville every year. No. You must register for the Chicagoland Distance Challenge(TM) during your Naperville registration (no fee required). Contact the race director and correct your registration information for the race that is wrong. For Naperville, email us at info@naperville26.com and include the incorrect name or birthdate you used and the corrected information. Your Naperville confirmation will show your Chicagoland Distance Challenge registration information. I’m already registered for Naperville? Can I still register for the Challenge? Yes, while medals are still available, you can. Add a Challenge registration, switch up to the 3-Race, switch down to the 2-Race, or change your Chicago race as you confirm your Naperville Registration. (while still available) Learn more. Only if you change your Challenge registration to the 2-Race (while available). 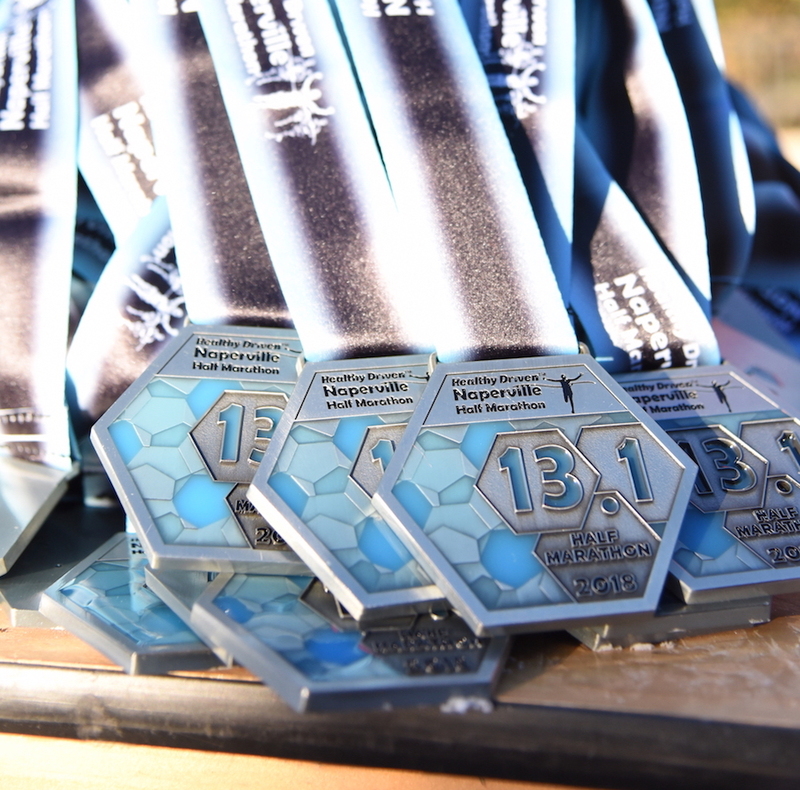 If you’re registered for the Chicagoland Triple Crown, you must finish all three selected races to receive a medal. Awards will be given at the Chicagoland Distance Challenge tent at the Naperville Half Marathon Race village.